Photographer’s notes: I hear this a lot about City Bikes. People who rent them enjoy the pleasure of coasting down hill to the city centre. The depots fill quickly – but few and fewer people want to ride back up the hill. 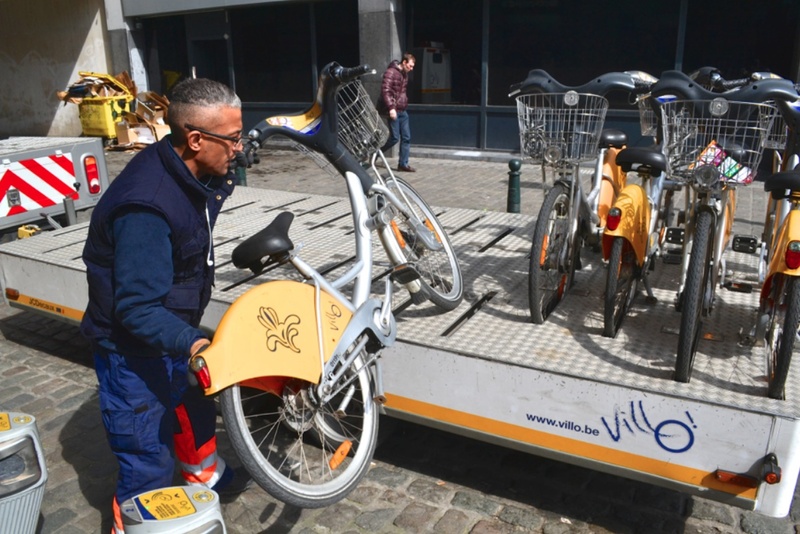 The Velo Ville staff have the regular task of rearranging the supply of bikes – and the bikes get a motorised trip back to their superior position. This entry was posted in city bike, city bike program and tagged 2015, Belgium, Brussels, July, Villo Velo. Bookmark the permalink.